Would you use a face moisturizer to soften your heart ? part is meant for plugins and is called plugin territory. Many Job Board themes try to include features that are clearly outside of theme’s scope thereby invading the plugin territory. This causes great discomfort to the user because the user will never be able to switch a theme or risk losing the website, its data and functionality. 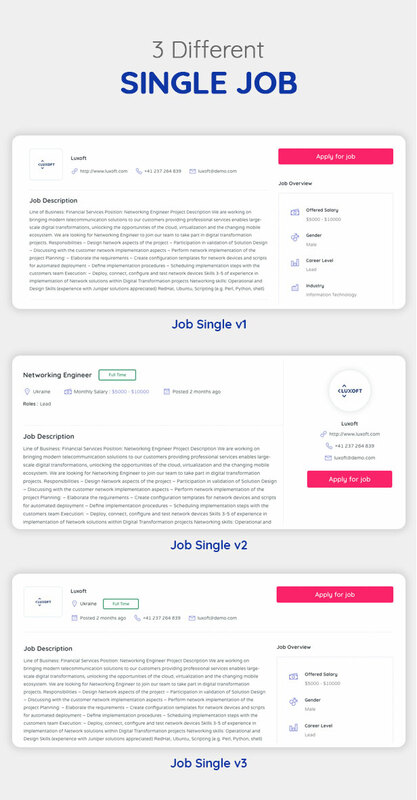 Keeping the above discomfort in mind, we’ve built Jobhunt – Job Board WordPress theme for WP Job Manager plugin. Our theme styles the look of the website while WP Job Manager Plugin provides the job board functionalilty. 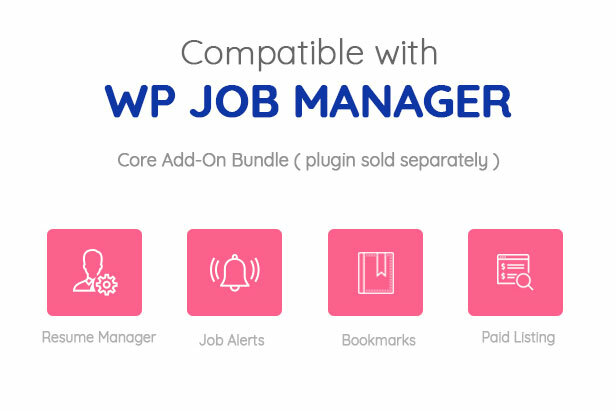 Jobhunt also supports WP Job Manager Core Add-on Bundle that includes features such as Resume Manager, Job Alerts, Indeed Integration, Job Tags, Paid Listings, Job Applications, etc. Our theme takes care of “how the website looks” part and “how the website works” part is taken care by WP Job Manager. WP Job Manger is a lightweight open source Job Board plugin for WordPress. This plugin is maintained by Automattic the same company that manages WordPress. 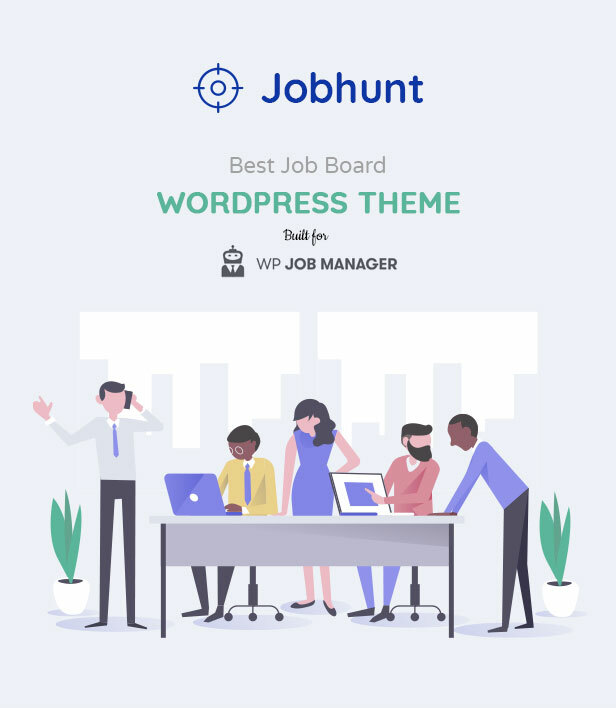 With such solid backing and contribution from best minds in WordPress, WP Job Manager is the best Job Board plugin for WordPress. The theme does not include features that are outside of a theme’s scope. This means your website functionality is not tied to the theme. 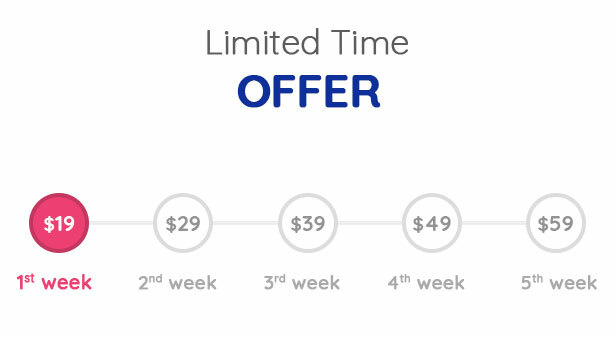 You are free to extend your website’s feature using various third-party plugins that are available. 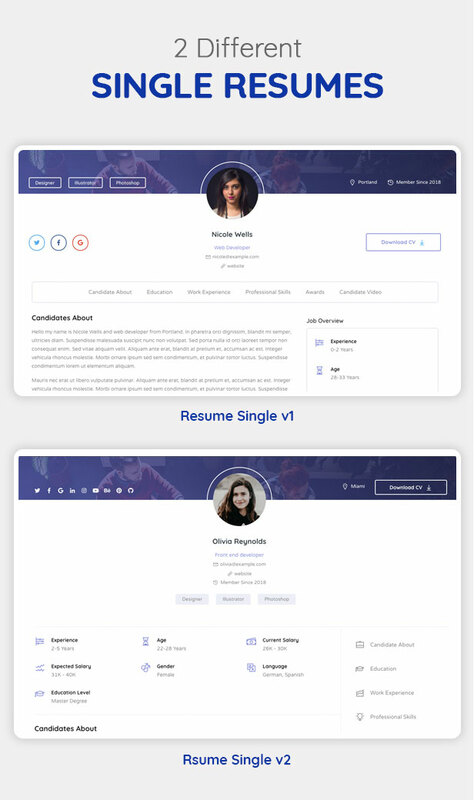 Jobhunt comes with 5 different Home pages & 15+ blocks. You can mix and match different blocks using King Composer to make your home page unique. You can choose from 5 different headers and 5 different footers. The header area is built using actions and the footer area is widgetized. 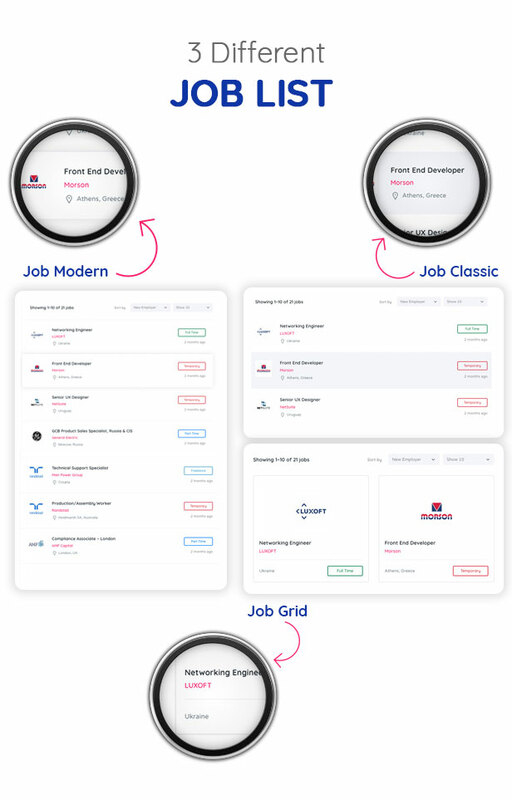 Jobhunt offers 3 different ways to list your jobs : modern, grid and classic. 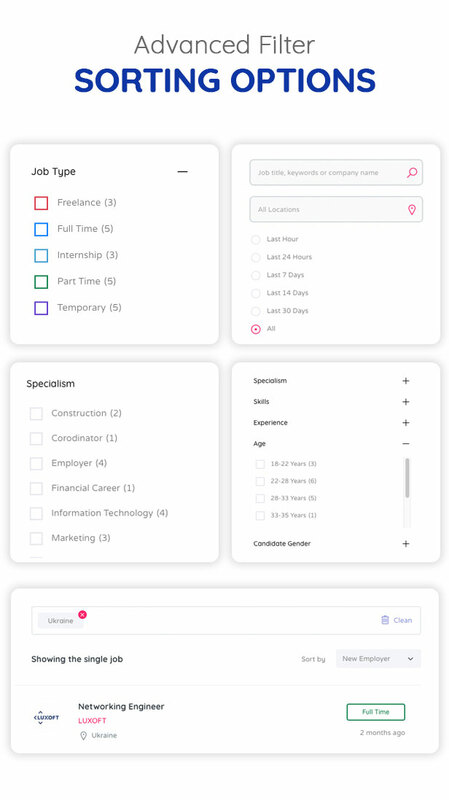 You can choose the style that you like the most and also set the single job page from one of the 3 different styles available. 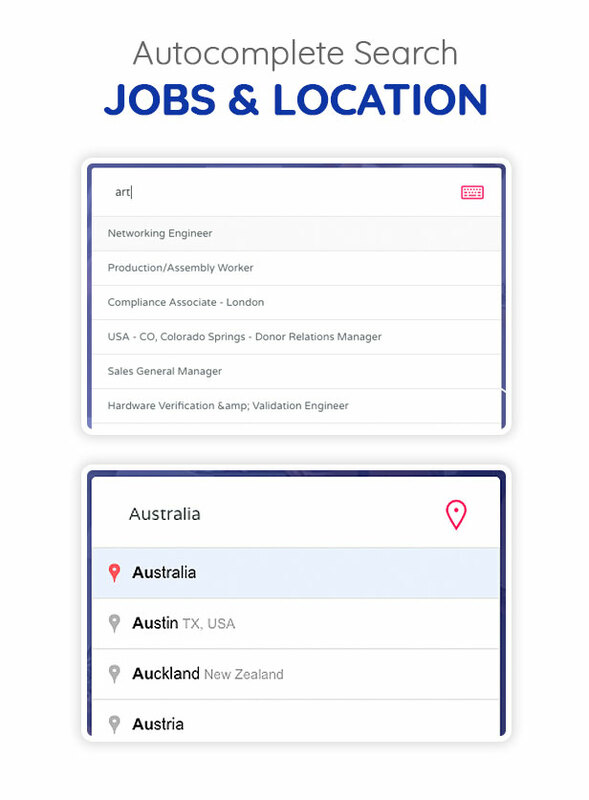 Jobhunt provides advanced filters and sorting options to Job listings, Employer Listings and Resume Listings through widgets to allow you expand the filter options for these listings. 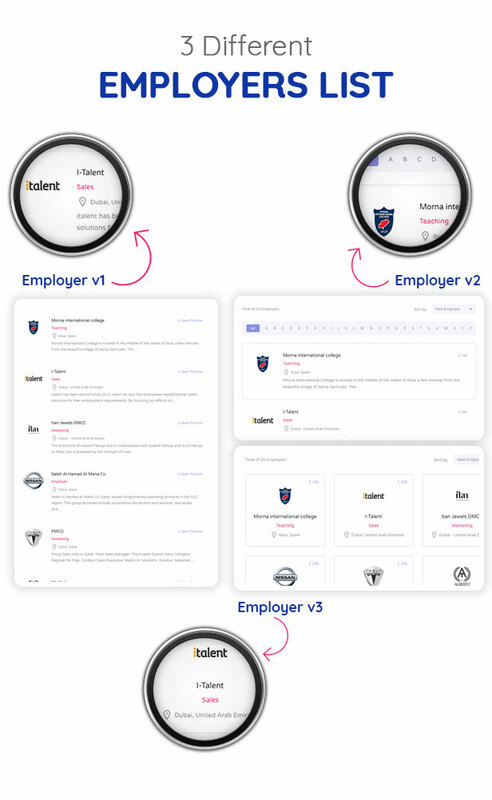 Jobhunt allows you to list employers posting jobs in their own Employer listing page and single employer page. 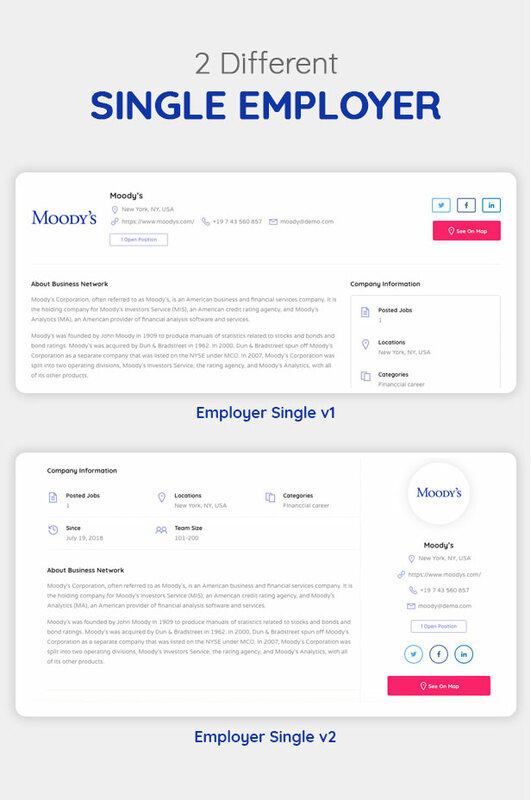 Employers can be listed in 4 different styles and Single Employer page is available in 2 different styles. There is also an Employer Dashboard where the poster can manage their job postings. Having an employer page builds trust of the job applicant. 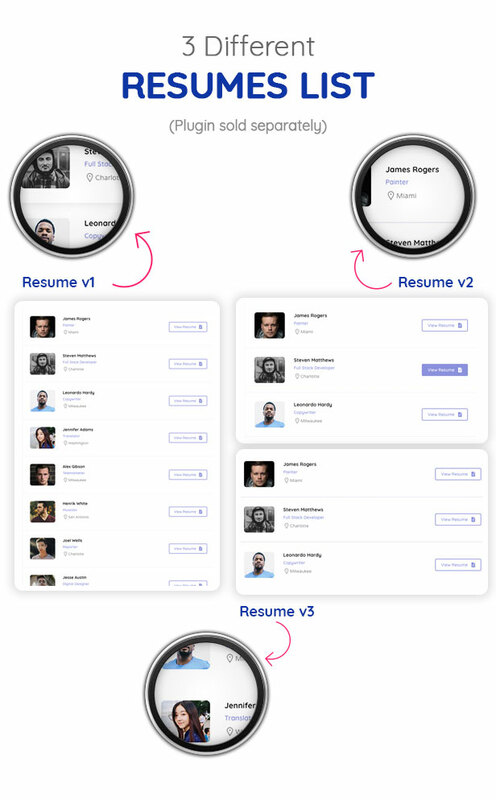 List candidates in 3 different styles and individual candidate page in 2 different styles. Additionally there is also a candidate dashboard page. WP Job Manager covers all functionality that are considered ‘core’ to running a simple job board site. Additional, advanced functionality is available through add-ons. The most popular add-ons are provided as one core add-on bundle. Jobhunt is compatible with this core add-on bundle and supports all features provided by this bundle of add-ons. 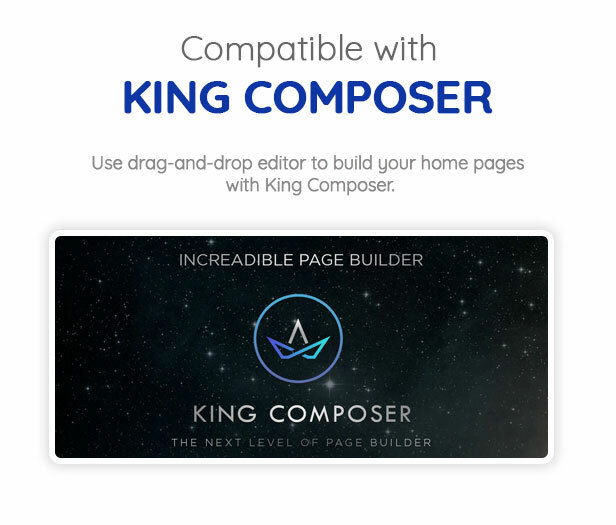 Use drag-and-drop editor to build your home pages with King Composer. With 15+ home page blocks, you can create unique home page layouts for your website. Font Awesome is great, but many people like line icons as well. 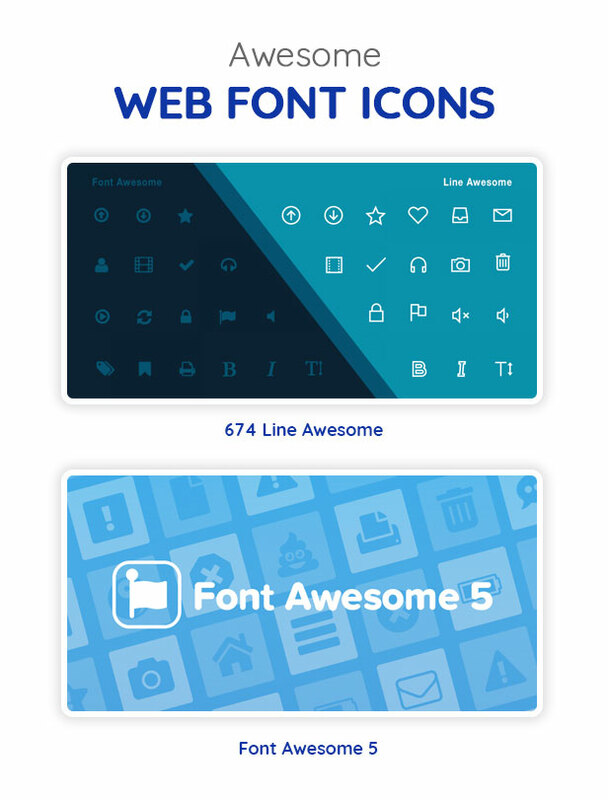 Line Awesome consists of 674 flat line icons that are created based on Windows 10 style. We’ve also included Font Awesome. 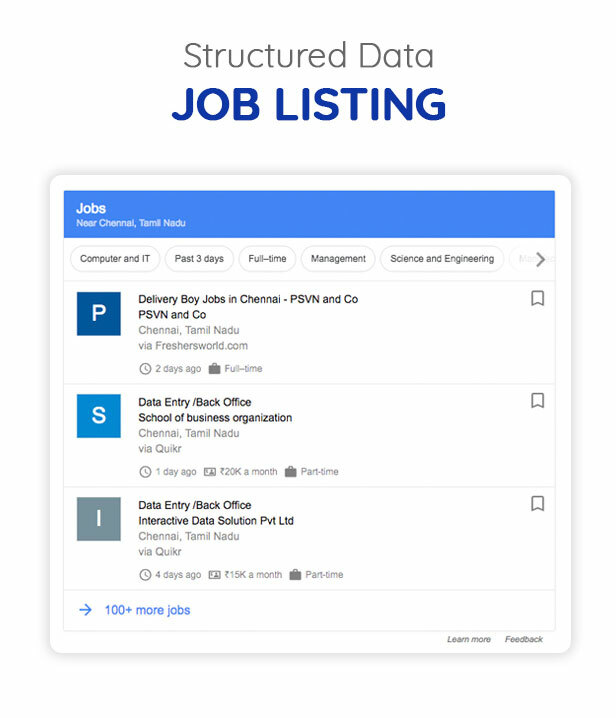 WP Job Manager will automatically include structured data about your job listings on every individual job listing page. This helps Google and other search engines understand certain information about your jobs, such as the type, the location, the name of the employer, and so on. 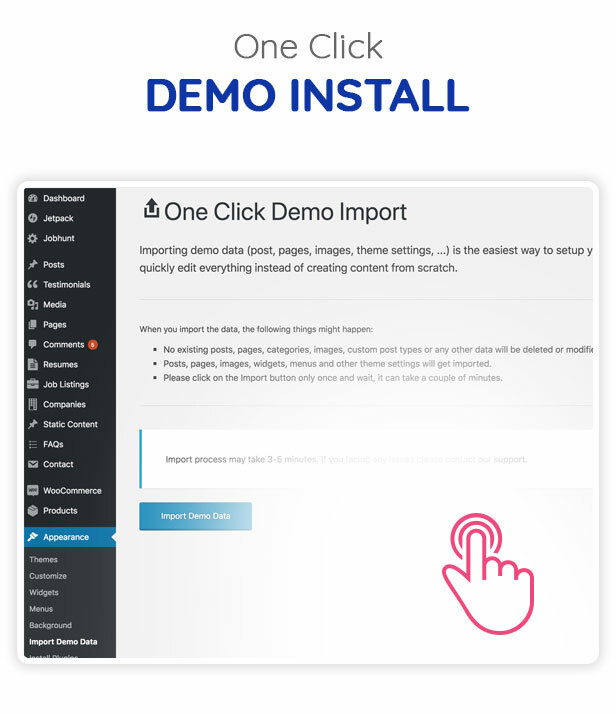 Installing our demo content is easier with our one click demo install. 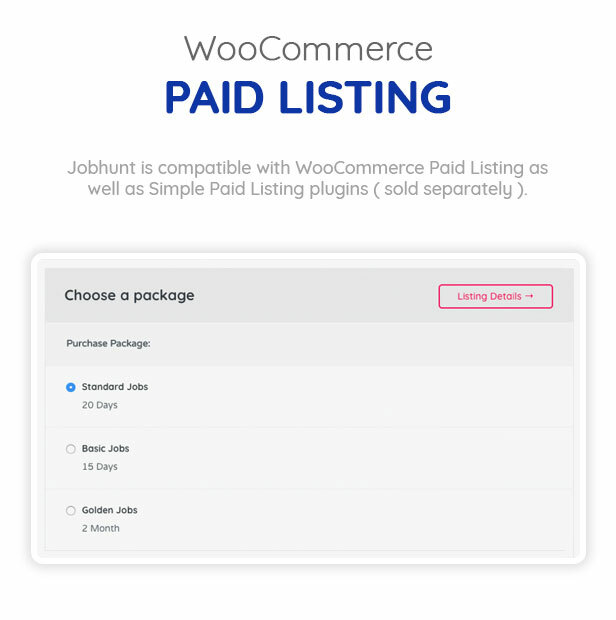 Jobhunt is also compatible with WooCommerce and supports all its features.